Thanks for stopping by! My goal is to provide you with the best in creative education. So if you have any questions, comments, feedback or just would like to say hello, drop me a line! I look forward to hearing from you. Cheers! As a teacher I like to provide helpful resources whenever I can! 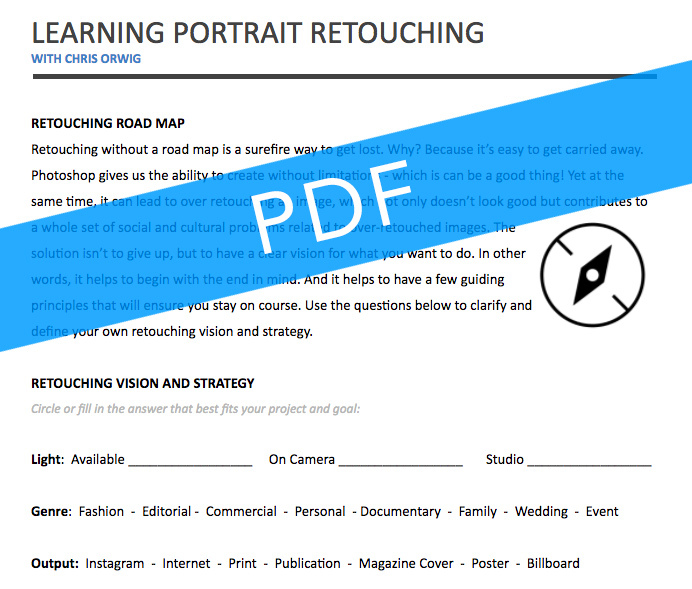 Below you'll find a resource for my course, Learning Portrait Retouching. Click on the graphics below to download the PDF or the Word Doc version of the file. Cheers!